And as a result, Underwood came to be. 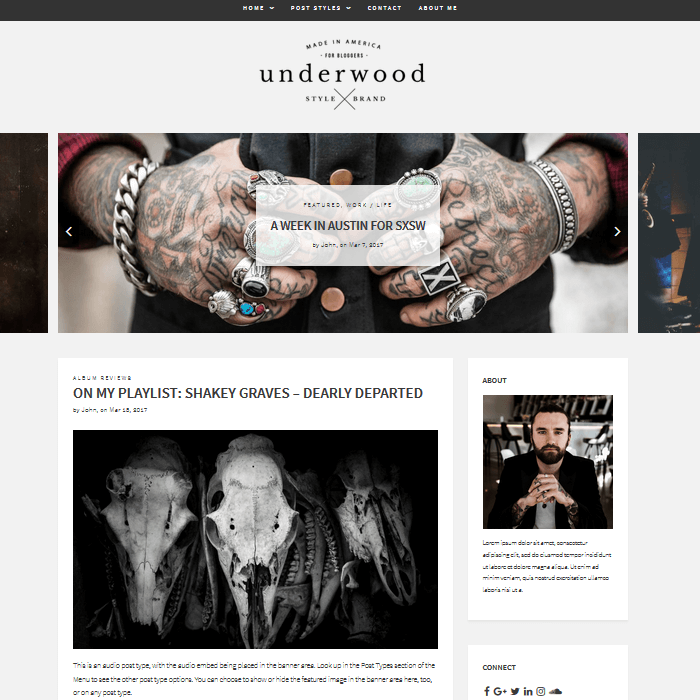 Underwood is a premium WordPress theme with a concrete design concept that utilizes both strong accents and plenty of white space so your written content does not go unnoticed. Perfect for those looking to start an online business, build a popular blogging site, or just share some personal stories for fun, Underwood offers all the features needed to get the job done. 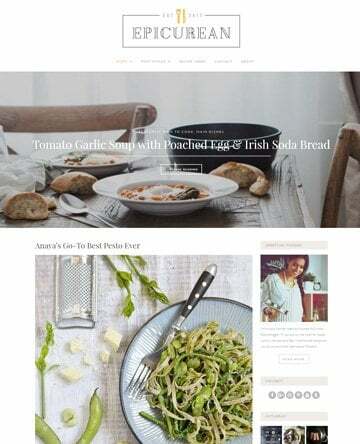 With a gritty undertone and a modern visual appeal, this personal blogging theme can easily transform your project into a major online business and is sure to “WOW” your visitors the moment they click on your website. Responsive Design. Responsiveness is a must, and any website that fails to comply will miss out on precious traffic, leads, and conversions. Built ready to render perfectly on all screen sizes and devices, this theme is perfect for anyone on the go. Customizable. Using the built-in WordPress Live Theme Customizer, change any element of your website with ease. For example, access hundreds of Google fonts, the exclusive color picker, parallax animation effects, and multiple layout options from the back-end of your website and personalize them to match your brand. Widgetized. With plenty of widgetized areas throughout and custom widgets for added site functionality, display information for your site visitors in a user-friendly way. For instance, include social media icons, an “About Me” section, or a “Recent Posts” area. SEO. 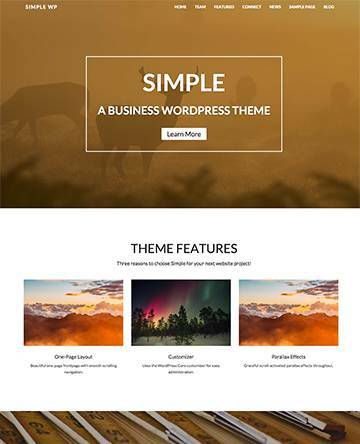 Optimized for maximum speed and performance, this theme was built following secure best practices so that your site always loads quickly and without any glitches or invasions. Compatibility. Known to play well with other popular WordPress plugins such as WP Super Cache, W3 Total Cache, and Yoast SEO, you can rest assured your website will perform at top notch speeds and will be properly indexed at all times. Bootstrap Framework. 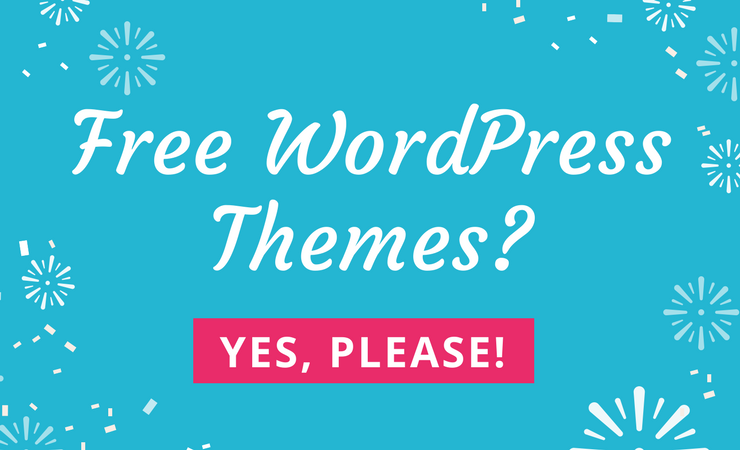 This theme is built on one of the most popular HTML, CSS, and JS frameworks for developing responsive, mobile-friendly WordPress themes. Making site building easier for people of all skill levels, the Bootstrap Framework works on all devices – regardless of project size. WooCommerce Support. Beyond crafting a successful blog, many website owners wish to start an eCommerce shop that integrates directly into their blogging platform. 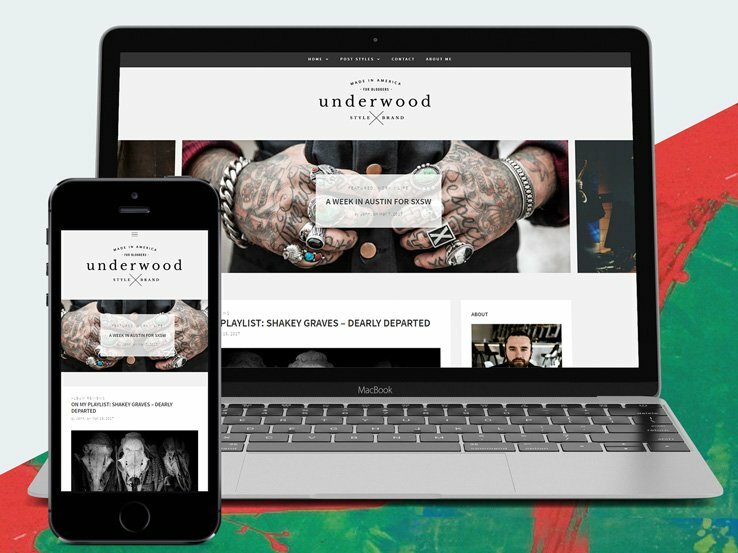 Underwood, built on one of the best blogging platforms available today, allows for you to start an online shop using the free WooCommerce plugin. 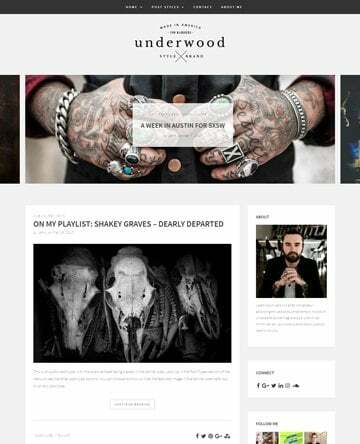 There are many standout features that set Underwood apart from other high quality WordPress themes on the market today. 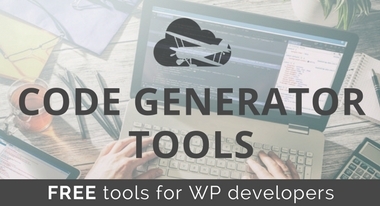 Obviously, things such as SEO optimization, mobile-friendly design, and WordPress plugin compatibility are general features any solid premium theme will have. 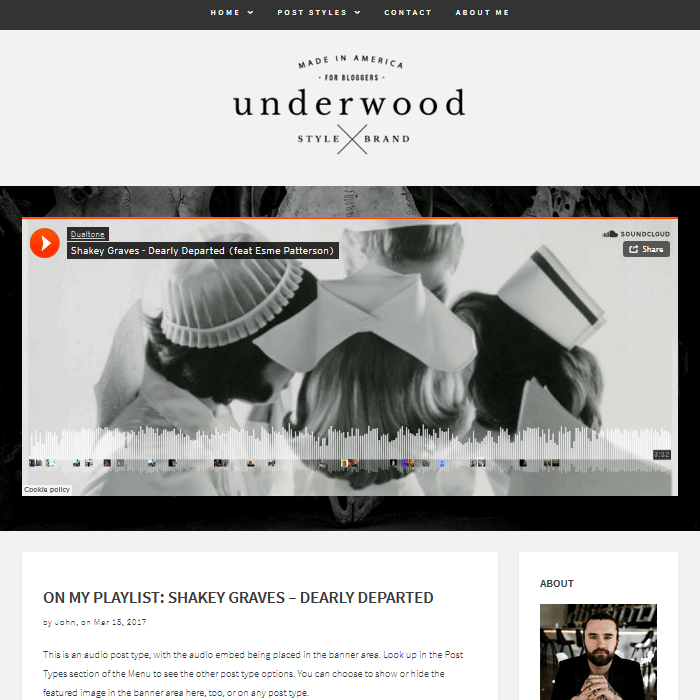 However, Underwood takes it one step further and transforms this blogging theme into something unique. Choosing which front page layout is best for you is largely a personal choice and depends on the type of website you are creating. ThemeShift understands this and therefore offers you 3 very distinct options for setting up the front page. Displayed as a classic blog, the standard front page offers you an opportunity to brand your website in the header with a large custom headline, featured post slider, simple navigation bar, and a list of recent blog posts complete with featured images, post titles, and excerpts. More so, you can add additional information to the available sidebar using a multitude of included custom widgets. Another popular and unique way to set up your website’s front page is to use the grid with sidebar layout. 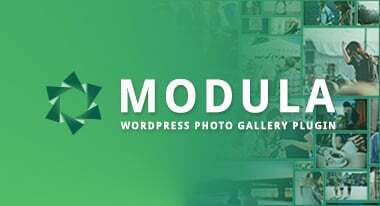 Again, giving you the chance to brand your site and include the stunning post slider, this layout option grids your blog posts into small thumbnail images, complete with post title and category information. Use this layout as a way to display a lot more content in the same amount of space as the standard layout option. In addition, add an “About Me” section, social media icons, a tiled Instagram feed, and more in the sidebar that’s available for use. Looking for a layout that is a little more minimalistic but still offers site visitors a ton of content choices? Try the full-width grid option. Eliminating the sidebar and thus possible distractions, this front page layout allows your site visitors to get right down to the business of viewing your content once they click on your site. Full-Width Post Banner. Not only will you capture your readers’ attention with a full-width banner, this large imagery is also interconnected to a popular post of yours that may spark an interest amongst many site visitors and get them to stay longer on your site. Front Page Slideshow. For those looking to highlight even more content at first glimpse of their front page, utilize the front page slider feature. Large, stunning, featured images scream, “Click on me,” and with the slider previewing multiple content pieces, you will be able to offer variety to anyone that visits you. 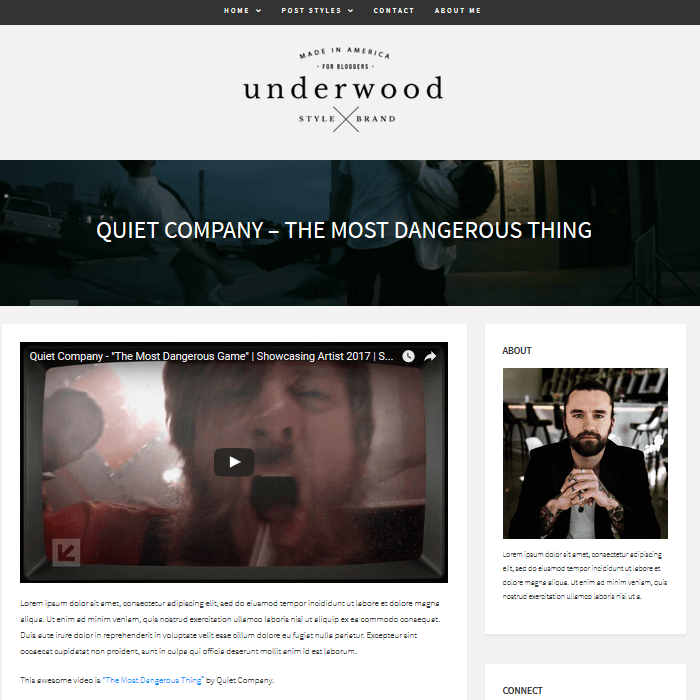 Offering website owners the chance to use multiple media types on their website, especially one centered around killer blog content, is a major selling point for Underwood. With nine different options to choose from, no matter the type of website you are building, you will be able to display all the different types of content you want to your readers in an organized and easily understood way. This includes the popular media types audio and video. 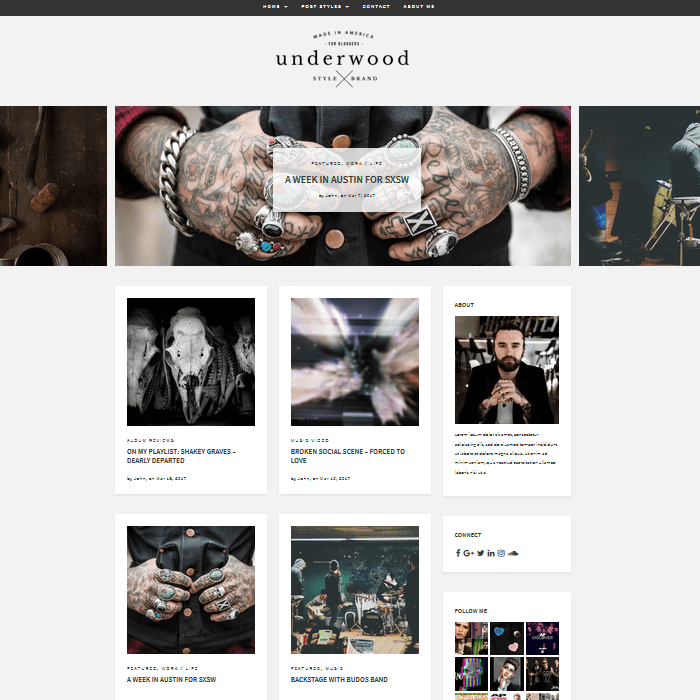 Notice how most of Underwood’s custom post types come in both the banner and content versions, giving you the freedom to display your content as you see fit. Giving your site visitors several ways to get in touch is great for building a better relationship with your followers and satisfying more customers. In addition to the commenting system your blogging platform provides, Underwood also makes integrating the highly effective and simple to use Contact Form 7 into your website. 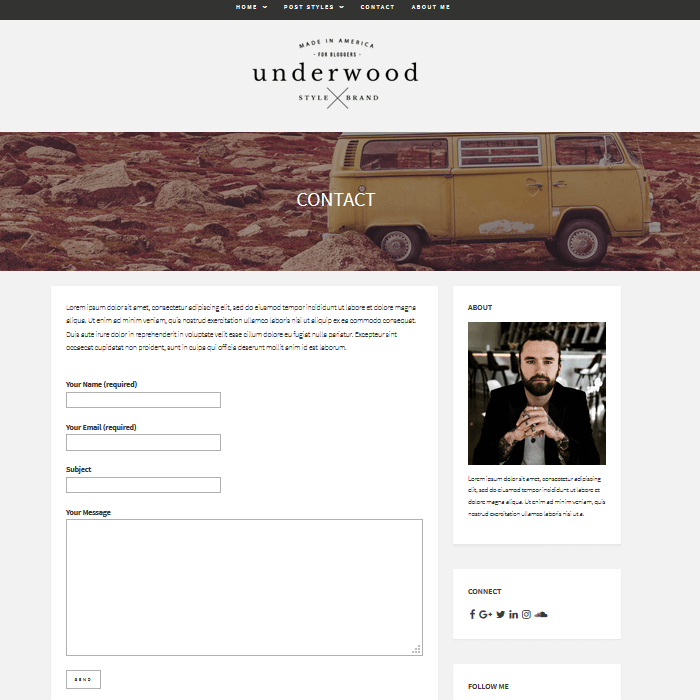 With a visually appealing banner image, a simple-to-use contact form, and additional information available in the sidebar via the custom widgets, Underwood makes available for use, your readers will be able to inquire about anything in a secure and private way and then continue exploring your website via the sidebar links. As a blogger, and even business owner, staying connected with your loyal readers and reaching a new audience is of utmost importance in order to stay competitive in the online world. That’s why Underwood offers beautiful social media icons so site visitors can like, follow, and eventually share all of your best content. Built into the sidebar area or the footer region, social media icons encourage readers to follow you on your social media platforms. Underwood comes with extensive theme documentation for answering questions, concerns, and even providing a little bit of inspiration. However, for those that need a little extra help, ThemeShift offers customers ongoing support from ThemeShift experts for a minimal monthly fee after the first 30 days, depending on which pricing plan you choose. 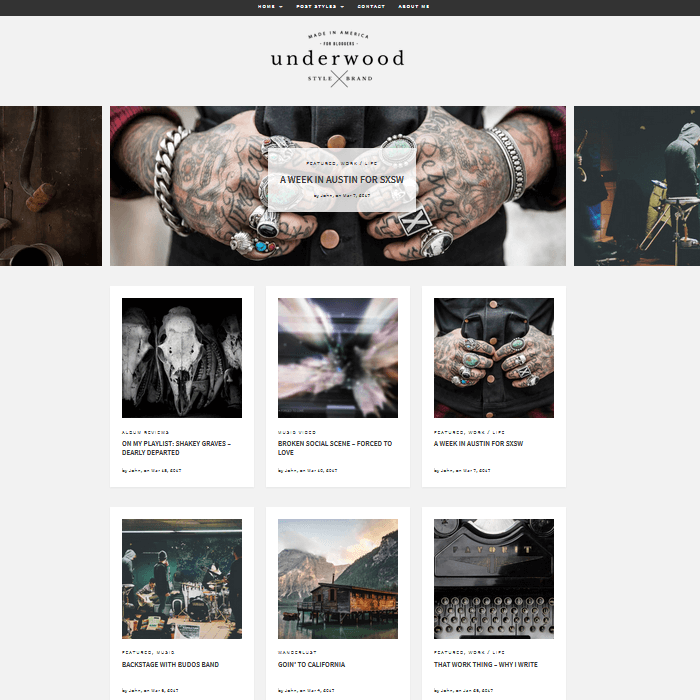 For a one-time fee of $39, you can download the Underwood theme, receive 30 days of free ongoing theme support and updates, and should you choose to continue your support services after the trial period, pay a $9/month support fee. 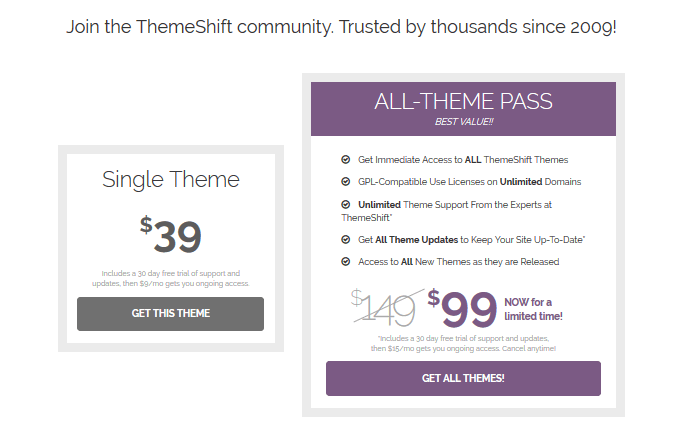 Moreover, to access all ThemeShift themes, use the themes on unlimited domains, and access all future ThemeShift theme releases without additional payment, pay $99 today for a limited time. Similarly, this theme membership purchase comes with a 30-day trial period of theme support and updates, and should you continue to want that extra support, simply pay a $15/month support fee. 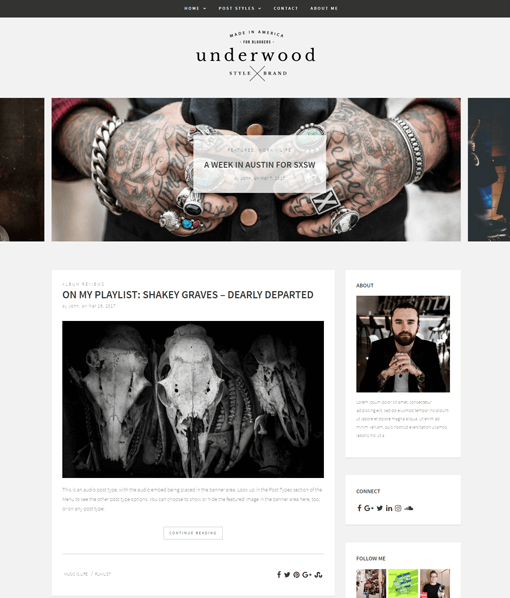 Altogether, those looking for a structured yet versatile blogging theme with a masculine touch should give Underwood a look. 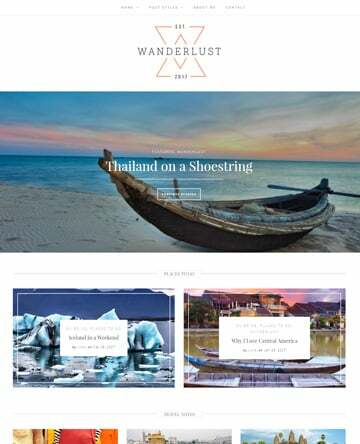 Placing your content front and center, offering lots of customizable settings and functionality options, and even making the setup of an online shop as easy task, this bold blogging theme is perfect for anyone looking to make a similarly bold statement to those that visit their website. 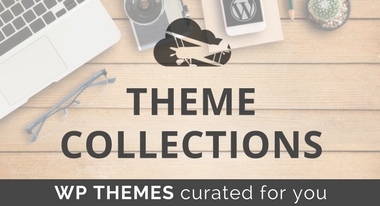 Have you tried the Underwood theme by ThemeShift yet? If you have, I would love to hear all about your experience in the comments below! Lindsay Liedke is a freelance writer for hire that loves all things WordPress. When she is not writing she can be found spending family time with her son and two silly nephews!